Wolfpack Martial Arts is a friendly club based in Scotland’s capital that teaches Kickboxing and has been going for over 7 years. We emphasise hard work and leaving it all in the dojo every time, giving it your all for every class. Training is only part of it, become part of the Wolfpack family and you’ll be around those who train professionally and know all there is to know about nutrition and healthy eating for competition. Over time you will see gains and improvements in skills working with our especially crafted classes to help you be the best you can be. Bring to the table win-win survival strategies to ensure peak fitness and excellence in martial arts and kickboxing. Our instructors are on hand to help you be the best you. 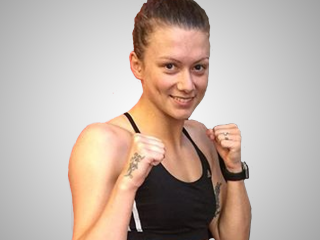 Natasha is, without a doubt, Scotland’s most decorated kickboxing athlete. She has achieved titles that no male or female has gained in British history. 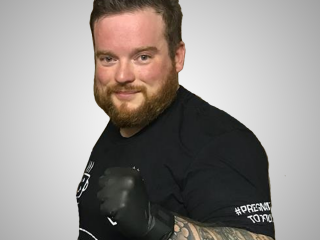 Kevin started training in Martial Arts at the age of 18, making history by becoming the first student to move straight onto the Advanced programme of the Great British Martial Arts Academy without any prior training.